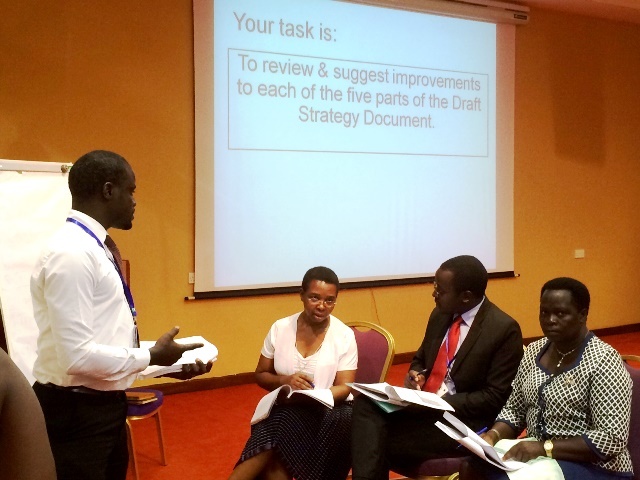 The Policy Action for Crop Intensification (PASIC) project has made great progress in supporting Uganda in developing its National Food Policy after the revisions made on the country’s National Seed Strategy were approved by the Minister for Agriculture, Animal Industry and Fisheries. The revisions will be submitted along with the National Seed Policy document to Uganda’s cabinet for review. The National Seed Policy had been reviewed and validated at a Stakeholder’s meeting held last year. This had brought together key players in the sector from private seed companies, local seeds businesses, researchers, district officials, relevant ministries, and parliamentarians. The seed strategy validation was followed up by further review of the regulations for agricultural chemical control in a process led by the Department of Crop Inspection and Certification of the Agriculture ministry and the Ministry of Justice and Constitutional Affairs (MoJCA) in January, 2015. The specific agricultural chemical control regulations include the seed and plant control, pest control and pesticide application equipment regulations. She said the seed supply system in Uganda was mostly led by the poorly regulated informal sector which had 80% of the share market; the formal sector taking up the other 20%. “Currently we have around 20 seed companies that make up the formal seed supply system that is regulated through the public regulatory system from seed production to certification. The informal seed system, on the other hand, has no organized seed production chain, and is heavily unregulated,” she said. 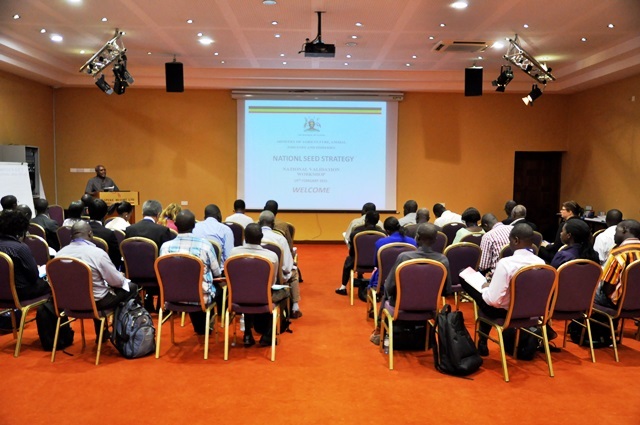 During the various discussions in the validation process for the National Seed Strategy, several issues were discussed such as the consequences of implementing a private sector led national seed industry and evidence to show how biodiversity will be protected and preserved – passionate issues for the advocacy bodies. It was agreed that an autonomous body to regulate the seed sector should be established. 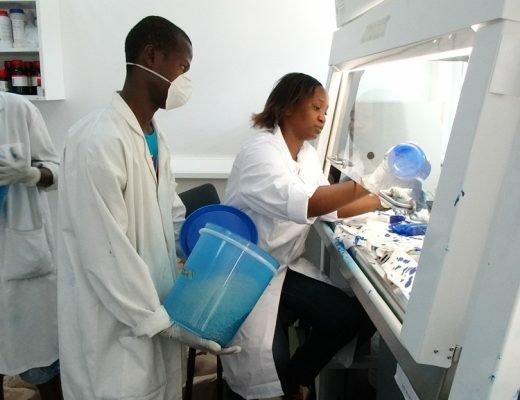 Although quality control was seen as the primarily the role of government, the formation of private sector partnership was advocated to encourage competitiveness and efficiency. Other key areas agreed upon included the need to build capacity of Quality Declared Seed (QDS) producers – the seed policy has a target to have 20% of the seed as QDS being produced by the informal seed sector. In addition, the mechanisms for self-regulation and internal quality management mechanisms among seed actors were to be strengthened and seed companies to provide extension services beyond the demonstration fields and they, as well as the seed traders, should have at least a seed technologist or technician amongst their staff. The PASIC project is not only engaged in policy action for policies relevant to crop intensification such as the seed, fertilizer policy and extension; is also conducting research to analyse the bottlenecks in these policies. This component is led by the by EPRC. From the stakeholder perspective, IITA is conducting research on the engagement of stakeholders in the policy processes. 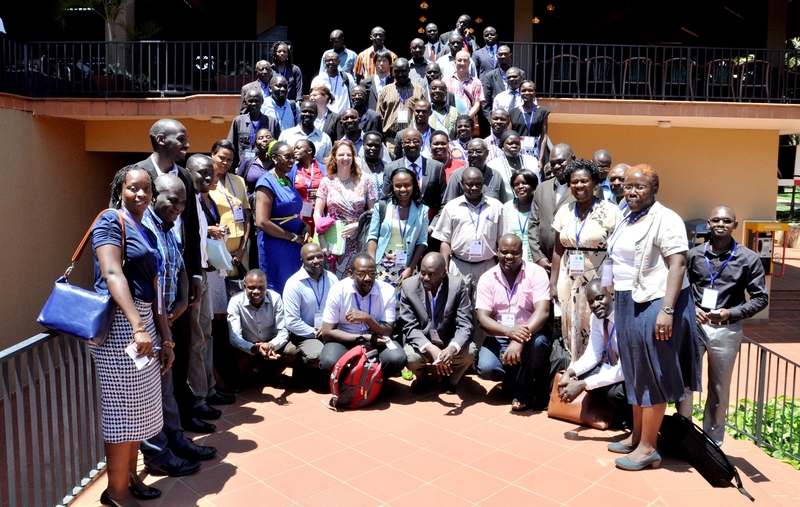 This research includes the analysis of the influence of policy processes and the dis/connect of actors on sustainable crop intensification in Uganda at national, district, and local levels and consideration of gender at these levels. PASIC has also been collaborating with other projects such as USAID’s Enabling Environment in Agriculture (EEA) – agricultural inputs activity and the Integrated Seed Sector Development (ISSD) to contribute to the project’s efforts to create a favorable policy environment towards intensification of agriculture in the country.